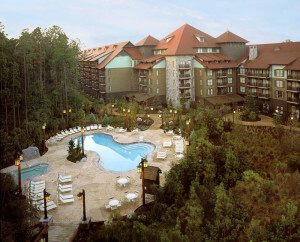 Disney’s Wilderness Lodge villas are an excellent choice of accommodations for your Disney vacation. Considered a 4 star resort, every aspect of the location is tailored to reflect the scenic Northwest surroundings. Are you looking for a time share near Walt Disney World? As you determine which Disney resort is best suited for your purchase, consider Disney’s Wilderness Lodge villas, the ultimate in Disney locations. This Disney resort creates the feel of being in the Pacific Northwest, even though it is located only a magical boat ride away from Walt Disney World’s Magic Kingdom. Imagine strolling through an ancient forest, yet knowing that you are only minutes away from the fun and excitement of the Magic Kingdom. From the numerous restaurants, food bars and amenities to the unimaginable luxury feel of the suites, this resort is not to be missed. And after spending a day of fun with your family at Disney World, you can relax in your very own private suite. Ranging in size from studio all the way to multi-bedroom suites, there is something available to suit your every need. If you decide to spend a day away from the Disney parks, there are many activities available to you at Disney’s Wilderness Lodge. Spend an afternoon at the Silver Creek Springs Pool (don’t miss the eruption of Fire Rock Geyser!) Rent a bicycle, or try boating on the 450 acre lake. There is a special hidden pool and hot tub available just for Disney Wilderness Lodge villa owners, so be sure to check it out. Visit the health club, where you can work out and then catch a great massage. You can try your hand at fishing, and a few times a month, you might catch the opportunity to have a chat with a Steam Train Expert. One thing not to be missed is a tour of the magnificent Wilderness Lodge. Visiting the lobby at the resort is an experience in itself. Imagine looking up 8 floors, where you are encompassed by magnificent Lodge pole Pines. Admire the genuine totem poles, or sit quietly by the cozy fire. You may find it hard to believe you are just around the corner from the twinkling lights, sounds and magic of the Disney kingdoms. 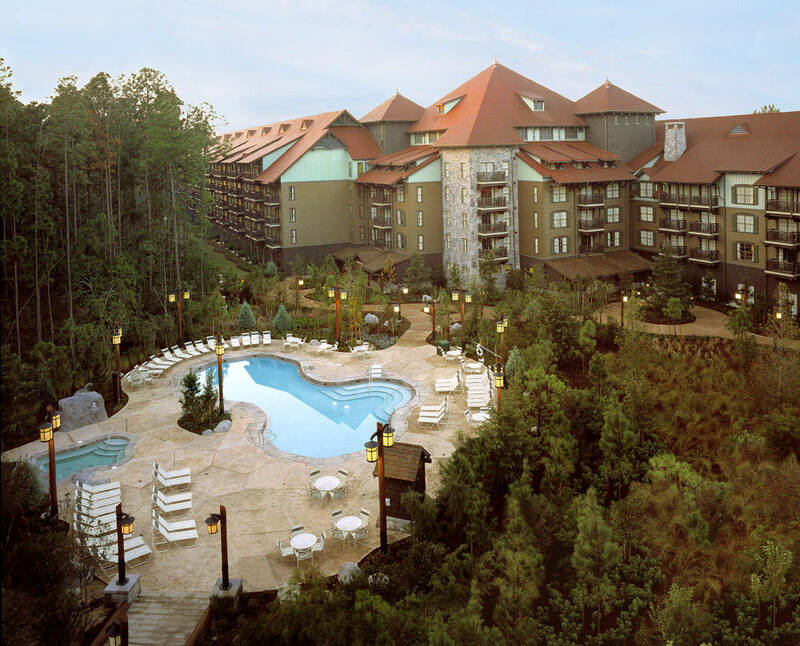 Evoking the feel and charm of the great Northwest, this resort is a unique destination in itself, yet it allows quick and easy access to all of the Walt Disney World theme parks. Your time share purchase at this resort can enable you and your family to return to the Orlando area year-after-year, with the comfort of knowing that the quality and amenities will remain at Disney’s high standards. Purchasing your own time share allows you to choose your time share based on location, accommodations, and the price that works for your family. You will enjoy all the benefits available to Disney Vacation Club members, at a reduced price. And imagine all that you will be able to do with the savings.